This Full Page Braille Writing Slate, featuring 27 lines with 30 cells each, allows you to Braille a full standard 8-1/2 x 11 sheet of paper at one time without having to move the slate. It may be used to write on one side of the paper or on both sides (Interline Braille Writing). In addition, it was specially designed to offer the option of writing on strips of paper or plastic foil (for use in labeling items.) 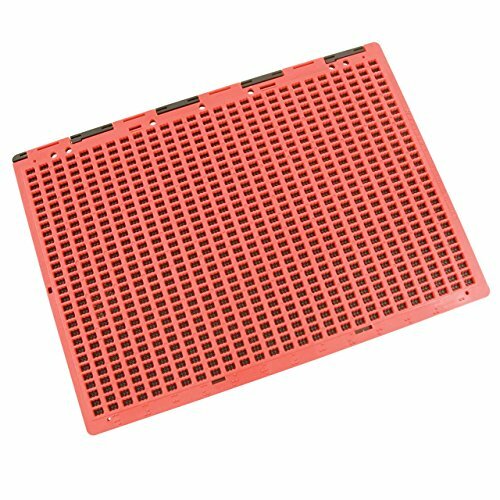 It is made of durable red and black shock-resistant plastic and consists of two plates a lower groove plate and an upper cell plate, in between which a sheet of paper is placed for Braille writing. Lightweight and easily transportable in a backpack or briefcase. Great for home, school or work. Slate measures 8 3/4 x 12.